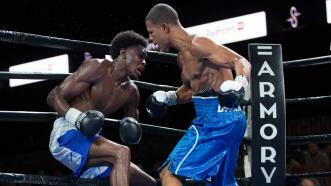 The 154-pound contender bounced back from his first career loss with a hard-earned, narrow UD win (96-93 twice and 95-94) over previously unbeaten Vernon Brown. 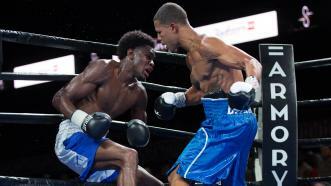 Jeison Rosario (16-1-1, 11 KOs) scores a unanimous decision over Jamontay Clark (13-1, 7 KOs) in their 10-round super welterweight bout. 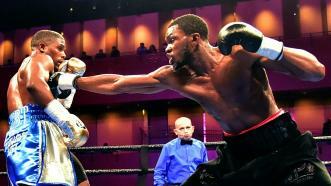 Once unbeaten super welterweight Jamontay Clark (13-1, 7 KOs) receives his first ever career loss from the hands of Jeison Rosario (16-1-1, 11 KOs) after a 10-round battle live August 24th, 2018 on PBC on FS1 from The Armory in Minneapolis, Minnesota. 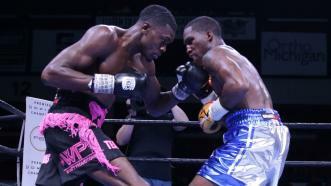 Unbeaten welterweight prospect Jamontay Clark (13-0, 7 KOs) boxed his way to a majority decision victory over Domonique Dolton (19-2-1, 10 KOs) in an eight-round, co-main event of the PBC on FS1 card on Friday, November, 17, 2017 from Dort Federal Credit Union Center in Flint, Michigan. 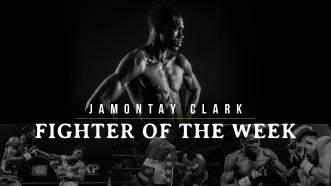 Fighter of the Week: Unbeaten 147-pound prospect Jamontay Clark meets fellow unbeaten Domonique Dolton Nov. 17, 2017 on FS1. 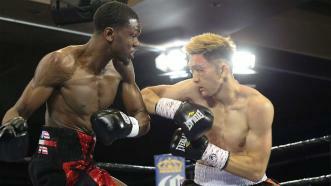 Jamontay Clark gained a seventh-round stoppage of Gaku Takahashi in a battle of 141-pound southpaws.